Harvard’s traditional revenue sources—including returns on its endowment—may be subdued in the coming years, a reality that could “significantly constrain” future University budgets, according to Harvard’s annual financial report released Tuesday. 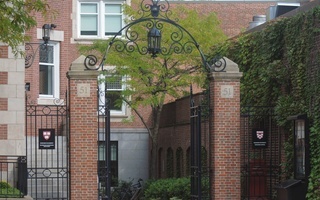 The report, written by Thomas J. Hollister, vice president for finance, and Paul J. Finnegan ’75, a Harvard Corporation member and the University treasurer, detailed the University's finances for fiscal year 2016, a year in which the value of Harvard’s endowment shrunk by almost $2 billion. 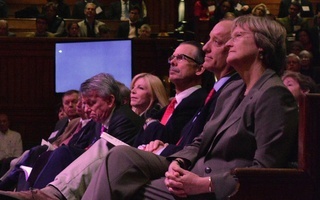 The investment losses have prompted concern from some University leaders, including University President Drew G. Faust, about Harvard’s future financial capabilities. “If, as some expect, higher education revenue growth rates are in the 2-3% range in the next few years, down from 4-5% in the recent past, it will significantly constrain the University’s ability to increase budgets,” the report reads. 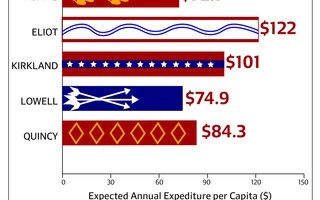 While performance within Harvard Management Company, the University’s investment arm, contributed to the poor returns, broader financial forces and decreased federal funding threaten to undercut established revenue sources for the University. 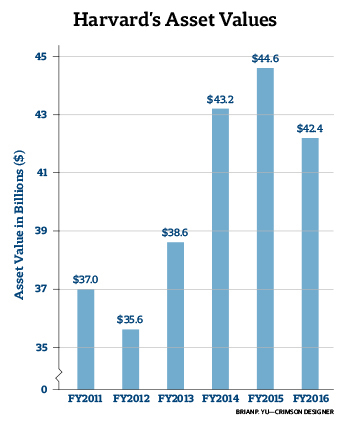 Because of the University’s poor endowment returns, the value of its net assets dropped more than $2 billion from $44.6 billion to $42.4 billion. Still, Harvard posted a budget surplus of $77 million in fiscal year 2016. Posting a budget surplus is not unusual for Harvard, FY 2016 marked the third consecutive year in which the University posted a surplus. While federal aid to Harvard increased to $597 million in FY 2016—a 3 percent rise from FY 2015—the report warned that “federal research funding faces an increasingly uncertain political climate” and may continue to wane in the coming years. Consequently, the reported noted, Harvard faculty members and researchers have increasingly sought funding from non-federal sources like foundations, corporations, and individual donors. Funding from these non-federal sources increased 9 percent to $248 million in fiscal year 2016. Of the University’s $4.8 billion in operating revenue in fiscal year 2016, money paid out from the endowment still made up a plurality of the University’s budget; HMC paid out 5.1 percent of its value, or $1.7 billion, to University budgets. Current-use donations totaled $421 million of operating revenue in the midst of Harvard’s record-setting fundraising drive, and Harvard generated nearly $1 billion in revenue from student fees. Harvard hopes to grow alternative revenue sources, including executive and continuing education programs and licensing royalties, both of which generated more money in the past year. The changing landscape for University revenues has prompted budget adjustments across Harvard, according to the report. Harvard also decreased its debt burden from $5.5 billion to a “manageable” $5.2 billion, taking advantage of low interest rates to refinance $2.5 billion in bonds. University expenses increased 5.3 percent to $4.7 billion, driven primarily by increases in employee salaries and benefits. Harvard also spent $597 million on construction projects, including renovations of the Smith Campus Center and Winthrop House as well as the “early capital activity” for the planned School of Engineering and Applied Sciences complex in Allston. The new CEO of Harvard Management Company, N.P. Narvekar, will direct the University’s largest revenue source beginning in December.